1. Go to http://www.nsbe.org/Professionals/Membership/Become-a-Member.aspx. Select “Join Today!” on the page. 2. If you are a New User, click “New User Signup!” and fill out your profile. 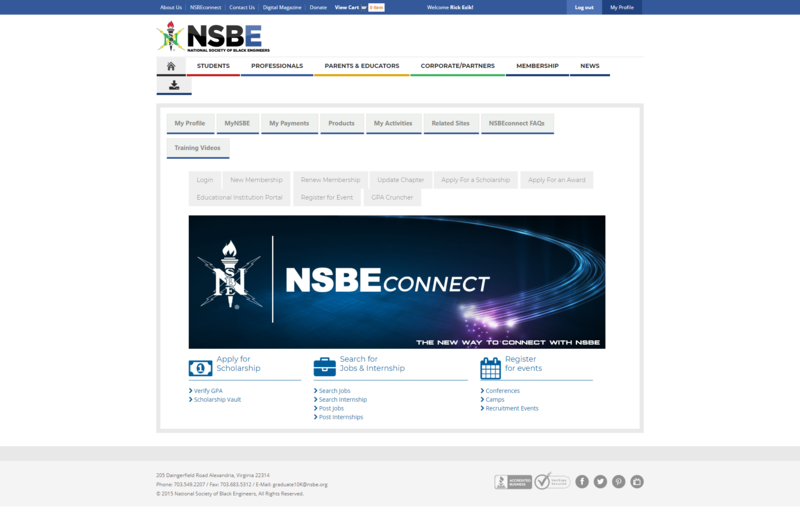 If you already have a NSBE National account, login with your user name and password and update your information. 3. You should see the following NSBE Connect page above. 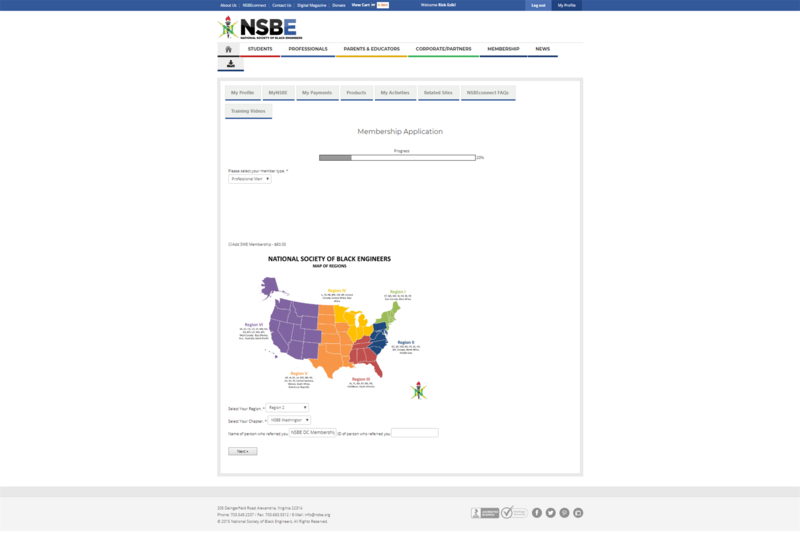 New Users, select “New Membership.” If you already have a NSBE National account, select “Renew Membership. 4. You should see the following page above. Follow the instructions to fill out the membership application. Under “Please select your member type” dropdown menu, select “Professional Membership - $50.00.” Under “Select Your Region,” select “Region 2.” Under “Select Your Chapter,” select “NSBE DC Washington Professionals.” Under “Name of person who referred you” write NSBE DC Membership Chair. Leave the ID number blank. 5. When you get to the Special Interest Group page, please select at least one group of your interest. We want to encourage you as a national member to join and be involved as the SIGs are a key initiative for NSBE Professionals. 6. Fill out your education and job experience. If you have any questions, please email membership@nsbedc.org. Welcome to NSBE National Professionals!!!! !